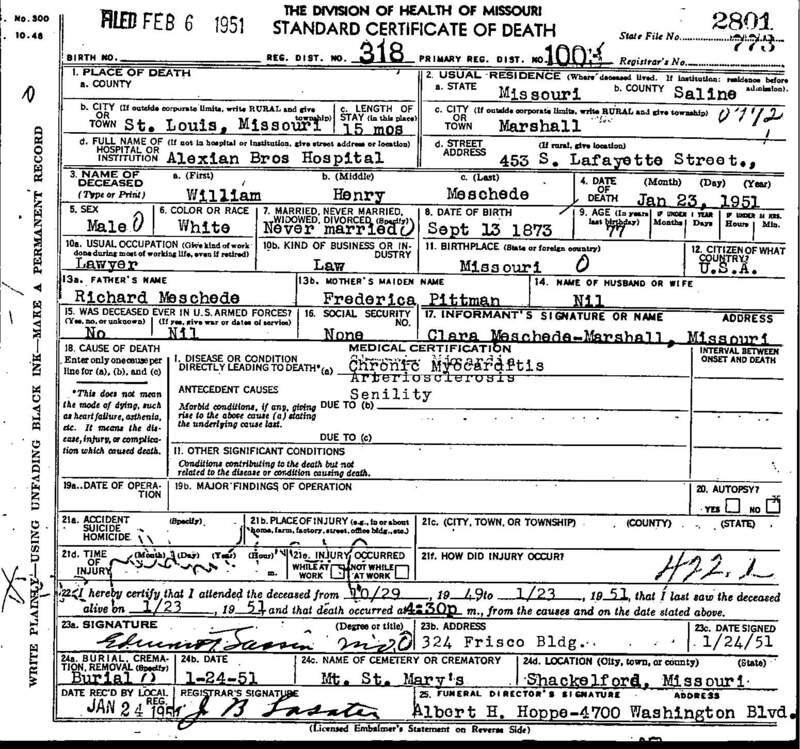 "Death Record - William Henry Meschede"
Birth location: near Laynesville, Saline County, Missouri. Cause of death: Chronic Myocarditis, Arteriosclerosis, and Senility. Death location: Alexian Brothers Hospital, St. Louis, Missouri. Burial location: Mount Saint Mary's Cemetery, northwest of Shackleford, Saline County, Missouri.